VATICAN CITY (CNS) — Expressing his condolences to victims and their families, Pope Francis called for an end to terrorism following a string of deadly attacks in Berlin and Ankara. Similar to an attack with a truck that took place in July in Nice, France, a tractor-trailer veered into the crowded Breitscheidplatz Christmas market in Berlin and plowed through bystanders, killing 12 people and wounding nearly 50. “Pope Francis joins all people of good will who are working so that the homicidal madness of terrorism does not find any more room in our world,” Cardinal Parolin wrote. 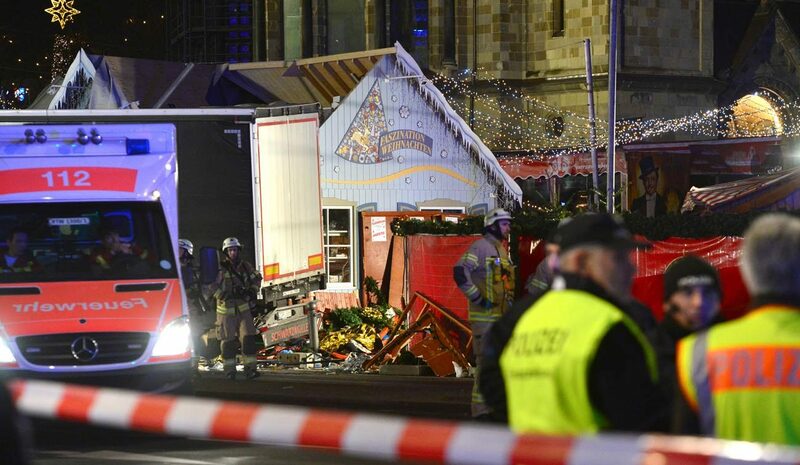 “The violence on the Christmas market is the opposite of what visitors were seeking. My compassion goes to the relatives of the dead and injured. For all of them, I will pray,” he said Dec. 20. Police detained an asylum-seeker from Pakistan who was near the attack. However, as of Dec. 20, authorities said they are unsure whether he was the driver of the truck. The attack in Berlin occurred not long after the assassination of Russia’s ambassador to Turkey, Andrey Karlov, by a lone gunman during the opening of an art exhibition in Ankara. The gunman was later shot and killed by police. Several family members and the gunman’s roommate were detained by investigators seeking a possible connection with terrorist groups. “In commending his soul to almighty God, Pope Francis assures you and all the people of the Russian Federation of his prayers and spiritual solidarity at this time,” Cardinal Parolin wrote.